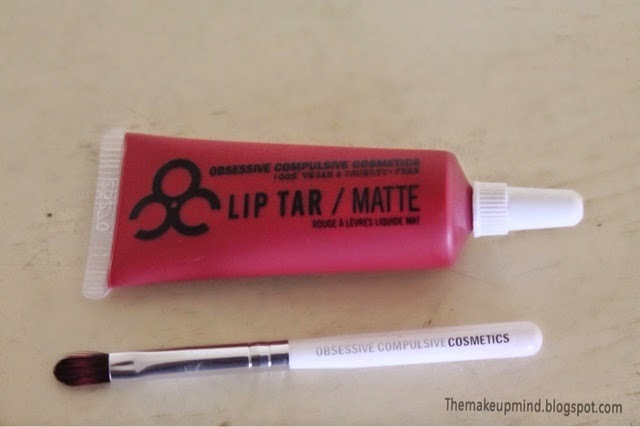 I was so excited to get my first occ lip tar. I really love the uniqueness of their product and they have a large variety of shades for both the simple and daring girls. So, I decided to get a red shade because I've decided to expand my collection of red lipsticks. I also saw it on makeupshayla and it looked hella gorgeous hehehe. First off, I want to point out that I have lipstick on my teeth in the photo below. Hahahahahha! For some reason I find this very funny =)). Okay, back to business. OCC actually stands for Obsessive Compulsive Cosmetics. Their lip tars are liquid lipsticks which come in a tube alongside a lip brush for application. The product packaging is okay and it's nothing over the top. But I really love the fact that it comes with a lip brush which to my surprise is of a very good quality. Upon application, the first thing I noticed is that it has a minty scent to it. I'm not a fan of minty lip products but it's just a personal preference. If you like minty scents then you'd love this. Surprisingly, it applies quite nicely. It goes on evenly without leaving patches or being messy thanks to the lip brush. 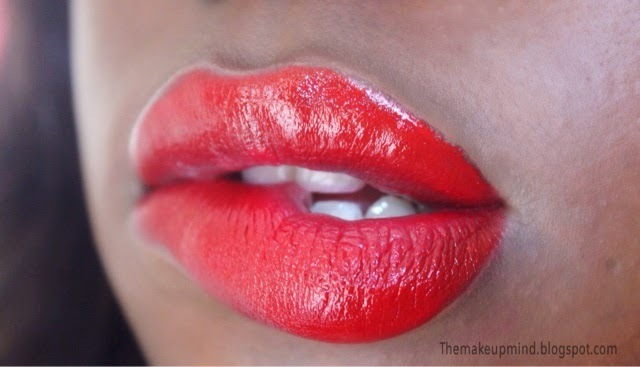 NSFW is a true classic red colour and it is very very pigmented. One application is enough and you will definitely get the exact same shade you see in the tube because of how pigmented it is. With this product, less is more so try to use the smallest amount of product and layer it if you need to. The product description says that it's a matte finish but it doesn't become matte until about an hour which Is more like a semi-matte finish actually. I love the fact that the matte isn't drying on the lips. I've heard people complain that it feathers outside the lips but that has never happened to me because I always wear it with a lip liner (although the swatch above wasn't done with a liner because I wanted to show the true colour). As for longevity, it lasts on my lips for about 6 hours before it starts fading. Occ liptar in NSFW is quite similar to Mac Russian Red lipstick but Russian Red has a little bit more of an orange tone to it. It's a really good product in my opinion, I really look forward to getting more shades. I love how the lipstick sits on your lips. Gorge red! 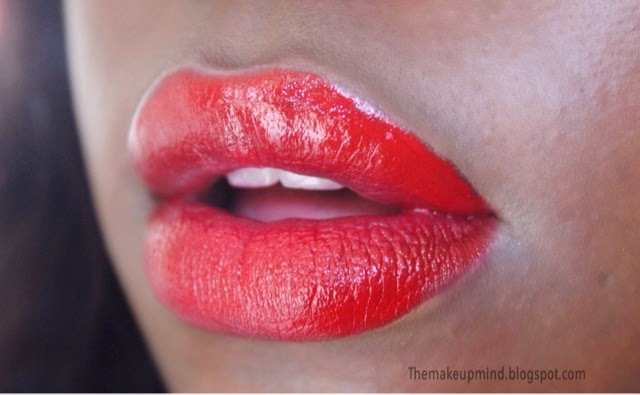 You know, I'm a lippie addict but I never seem to want to touch an occ red. I don't know why. But you have given me a reason to. Lovely blog! The sexiness of the lip bite though. Mhen i just can't deal!! !